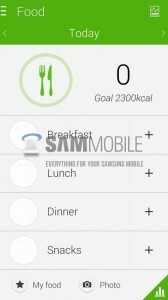 A new look of S Health app for Galaxy S5? S Health app is a new app that was launched last year. It can monitor your exercise levels and can help you loose weight. The app can show a chart with daily weight loss targets. For those who are into being healthy there were different graphs and charts that provide important health data. The new look of the S Health app should be able to track the amount of calories in your body, step count and even heart rate. Also, it has a new feature: you can connect different devices to the phone to get the data from,such as exercise bikes. It seems that there is a screen for running, showing location and workout data alongside playing music. The audio-guide it may be the voice of a trainer, who would give you tips and tricks of how to work better your exercises. 2014 S Health uses a white-on-green color palette with larger and thinner fonts, with big attention to Android’s new design guidelines. The screenshots from today reveal the slide-out “hamburger” menu bars and overflow action menus at the top of the screen. We think that the design is closer to Google’s vision of Android. 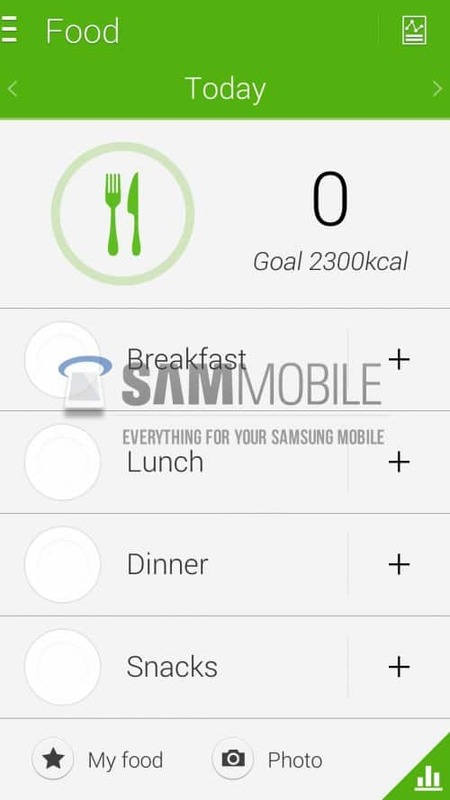 With the leak of Life Times app, the last week, the new S Health app leak gets us a wider look on how the new Samsung Galaxy S5 will look. It seems that new Samsung flagship will be an interesting device, but until we won’t have the device in our hands, we can’t say more.